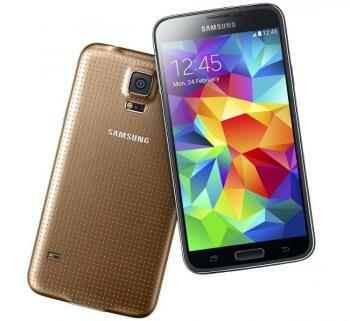 Last month Samsung unveiled the Galaxy S5 with its 5.1" FHD (432 PPI) Super AMOLED display. The phone is set to launch globally on April 11th, but my friend Raymond Soneira from DisplayMate received a GS5 from Samsung to test the display. And his conclusions? The GS5's display is a major improvement over the GS4 display. In fact, the GS5's AMOLED is the best mobile display ever tested at DisplayMate, outperforming all other OLED and LCD displays. But just how is the display better than the 5" Full-HD one on the GS4 and every other mobile display on the market? DisplayMate says that the new display is features the highest brightness, the lowest reflectance, the highest color accuracy, the highest contrast rating in ambient light and the smallest brightness variation with viewing angle. That's quite impressive! In the past, one of the weak points of OLED displays was the low brightness compared to LED LCDs. The GS5 display is 22% brighter than the display on the GS4, and it's actually the brightest display ever tested at DisplayMate. When the Note 3 came out, it turned out to be the brightest mobile display ever - as it can achieve 660 cd/m2 in high ambient light. The GS5 is actually brighter at 698 cd/m2! Most people will also say that OLEDs display non accurate colors that too "saturated". But DisplayMate reports that that GS5 provides very accurate colors. In fact in the Cinema Mode, it is the most accurate display they ever tested. So here's another OLED disadvantage that is simply no longer true. Another interesting finding is that the GS5 provides a 27% improvement in display power efficiency compared to the GS4. Samsung told DisplayMate that the improvement mostly came from more efficient OLED materials. They also incorporated new display electronics and optics and that helped as well. I have been advocating for the mind-boggling generation-over-generation improvements of Samsung's OLED technology for a long time, much to the refutation of blog-commentors parroting long defunct concepts. Thankfully, this is now one step closer to being an indisputable reality: OLED is an incredible performing technology when compared to LCD. I don't want to appear too cynical, but I think it would be better to test a random GS5 unit rather than the one which has been (carefully) selected by Samsung. Is your friend allowed to keep the display on at 690 nit for couple of hours! It will be nice to see the outcome. Also, I think the bigger pixel helped it over GS4.